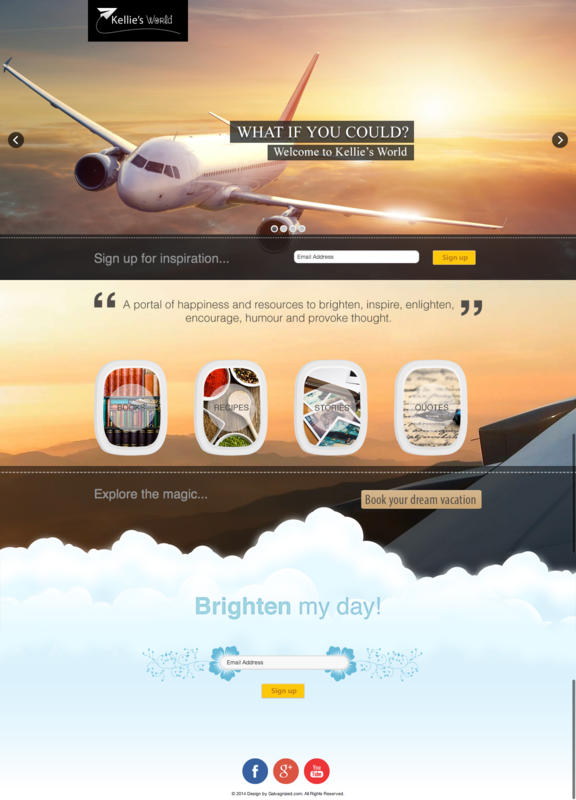 A landing page for In Kellies world that is responsive and collects client emails for future happines. A responsive landing page for the beginning of In Kellie's World. Original Design work by Sandra Galvagne and coded for wordpress by JK Dreaming.